Merlin- Cherrier is a top quality Sancerre producer from the hamlet of Bue with two tiny parcels in the potentially grand cry vineyard of le Chene Marchand. 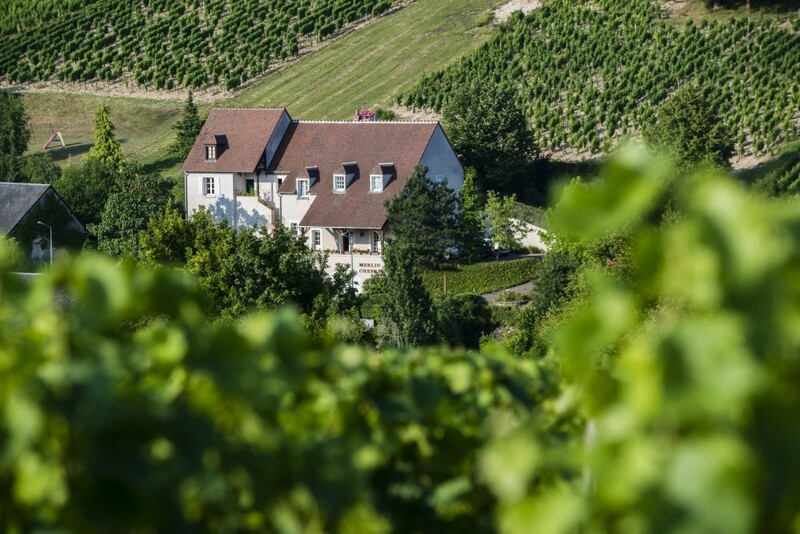 Thierry and Sophie Merlin-Cherrier own 13 hectares of prime location Sauvignon Blanc and Pinot Noir in the village of Bué, one of the principle hamlets surrounding the old walled town of Sancerre. The soils here, caillottes and terres blanches (or Kimmeridgian Marl), deliver pointedly fruity, rich, and long-lived wines. In addition, Thierry has just under a hectare of vines in the great vineyard of le Chêne Marchand, purchased in 1999. Chêne Marchand is one of the crown jewel vineyards of Sancerre and is the appellation’s outstanding example of Caillottes terroir. If ever Sancerre were to classify its vineyards, Chêne would be a certain candidate for grand cru status. The vineyard grows on the western plateau above Bué where Thierry has two parcels, totaling only 0.84 hectare. Thierry, a fourth-generation winemaker who made his first vintage in 1982, maintains age-old traditional practices; plowing and hoeing are standard here, as is careful pruning. The vineyards are lutte raisonée. The classique wine from this producer reflects Bué’s chalky terroir beautifully with its paradoxical generous precision (concentrated elegance might be a better way of saying this). This is a blend of parcels from both soil types totaling 11.16 hectares (27.5 acres). Le Chêne Marchand is a single, gentle, south-facing site situated between Bué and Crézancy and is recognized as one of the potential ‘Grand Cru’ vineyards of the appellation. The wines from Thierry’s two parcels are co-fermented and aged on their lees in a single concrete tank for between 15 and 18 months. It is bottled without cold stabilization (the wine can throw tartaric crystals—and would that more wine did as this is a sign of quality) and with a light filtration. It’s an immensely elegant, long, and mineral Sancerre. "Some like their Sancerre lean and mean, as in 2014, and some like riper, plusher vintages such as 2015. I'm almost always in the former camp...until a wine like this comes along. It is really more melony than citrusy, and I have my doubts that I would even identify it as Sancerre if tasting it blind on a day when I wasn't at my best, but damn...it is delicious. Really a medium-bodied wine, this is ripe and fruity on the nose and quite broad on first palate impression, though the acidity and minerality then start to gain traction and pull even in the finish. 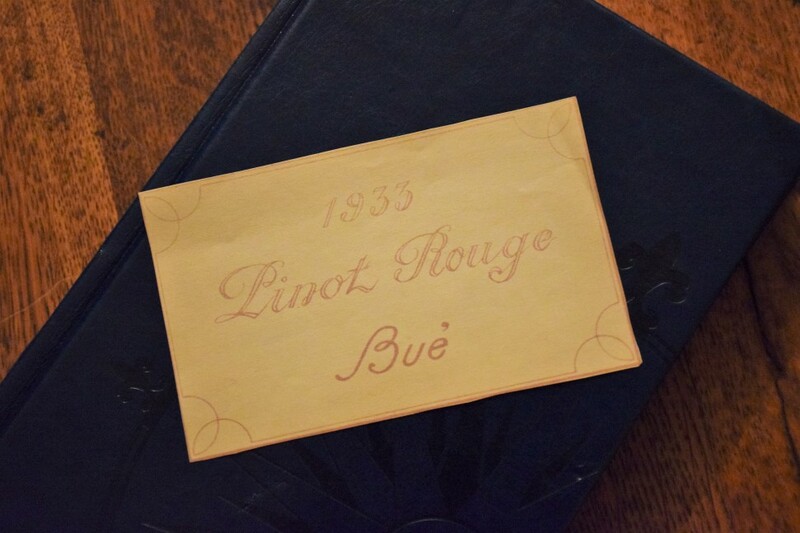 A wine that is both opulent and engaging, this is not to be missed."